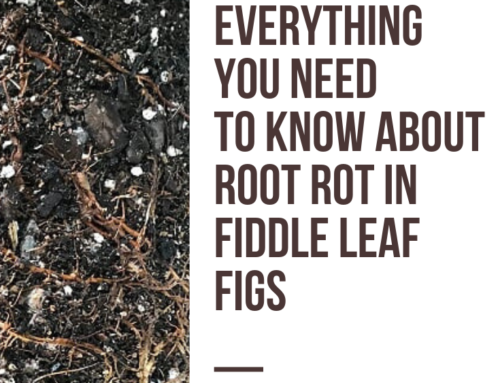 Not long ago, I realized my fiddle leaf fig trees were being antagonized by a pest. The bug was a common household insect that feeds on the green innards of plants’ leaves. What’s worse, this particular pest is known to secrete honeydew, which attracts other pests like ants and mold. 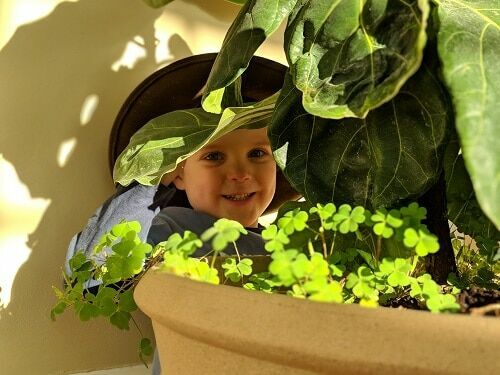 Our family is always hesitant to jump to chemical treatments, and I knew there would be a natural solution out there if I was willing to be creative. Around the same time, I was releasing ladybugs in my outdoor vegetable garden for aphid control. Would those same ladybugs do the trick indoors? I set out to learn. First, I did a little research. Turns out, a gardener’s relationship with ladybugs must include a little two-way reciprocity. I wouldn’t be able to simply let them go and expect a miracle. Once I had a handle on what ladybugs need to thrive, I increased my order of live ladybug quantities to include enough for my indoor trees, too. 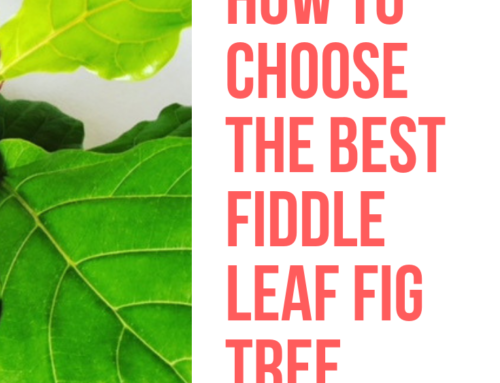 When they arrived, my family and I quickly applied some to my fiddle leaf fig plants. 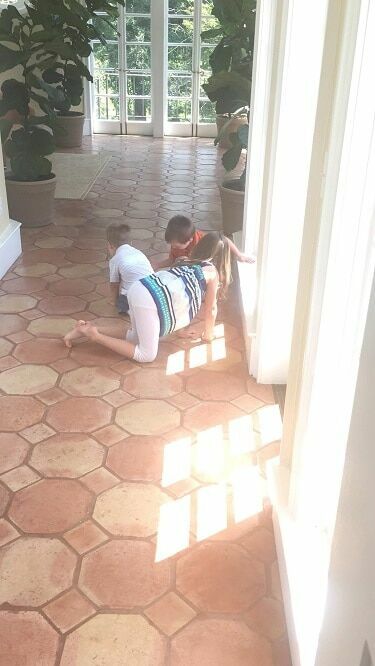 Needless to say, they were all over the place, and we were simultaneously delighted and concerned. Despite all my research, it wasn’t until I released the helpful critters that my real learning began. Here are a few of the benefits and drawbacks of releasing ladybugs indoors to control ficus lyrata pests. Ladybugs are cute. If the prescription was an ugly bug, I don’t think I would have been able to commit. The kids love them. So do dinner guests. 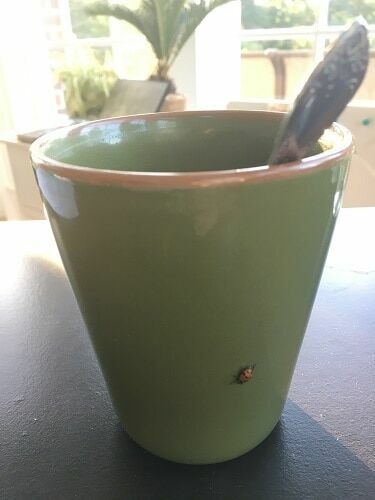 Ladybugs are a great way to connect with anyone, whether or not they’re interested in indoor gardening. 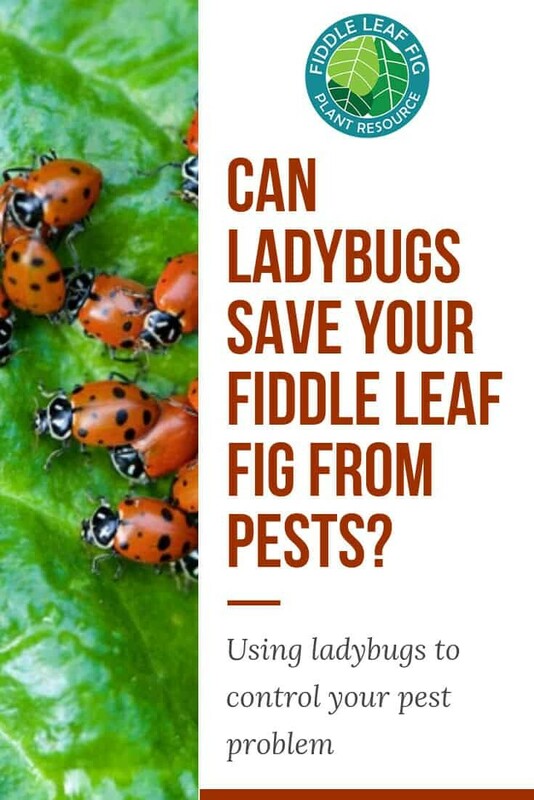 Ladybugs love spider mites, scale, and mealybugs. 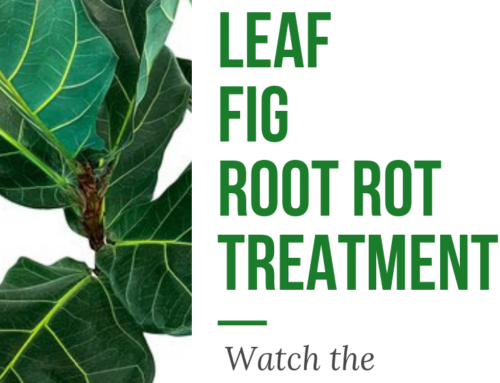 Many of the most common fiddle leaf fig plant antagonists can be treated with one solution. There’s nothing better than hitting a couple proverbial birds with one stone. Ladybugs are insatiable. According to National Geographic, one ladybug can consume 5,000 insects in a lifetime. Talk about voracious. If you have a serious infestation, then ladybugs are likely up to the task of treating it. They’re an inexpensive solution. For about $10, you can get 1500 live ladybugs. Yes, they scatter. When considering releasing ladybugs indoors, homeowners’ most obvious concern is where the bugs go. If you’re worried they’ll go to other rooms, you’re right, they will. I knew this would be the case early on, and still chose ladybugs over conventional pest control methods. Masses of ladybugs attract both predators and scavengers. In my case, this meant wasps and hordes of flies. While most people worry about a ladybug infestation, we ended up with a house fly infestation, since the common house fly loves to eat other dead bugs. Ladybugs get on everything. 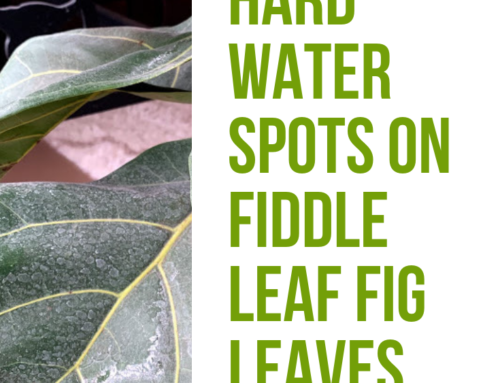 I assumed since their food [in my case, a mealybug family] was on the Fiddle Leaf Fig, the ladybugs would stay on or near the plants. Not so. Ladybugs’ hunger works both ways. Unfortunately, their greatest strength – that remarkable hunger – is also their greatest weakness. In other words, when the food (pest) is gone, so is the ladybug. They either look for a way outdoors for more food, or they die. 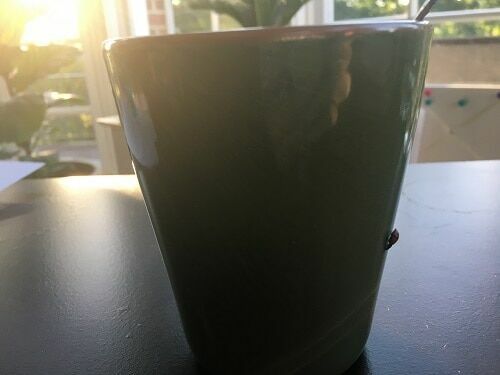 If (like me) you have weighed the pros and cons and decided to release ladybugs at home to naturally deal with ficus lyrata pests, first mist your plants with a spray bottle so your helpers can drink before their meal. Then, sit back and enjoy the drama! 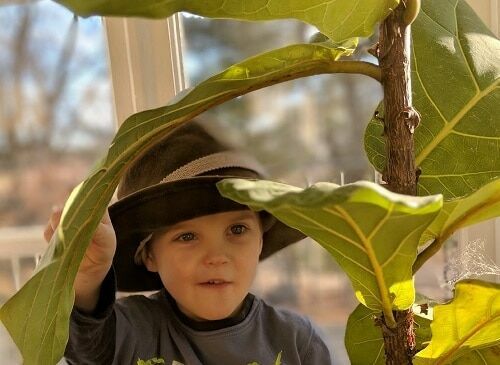 Finally, snap a picture and share it with our free, helpful, encouraging group of fellow fiddle leaf fig enthusiasts online. We would love to cheer them on with you. 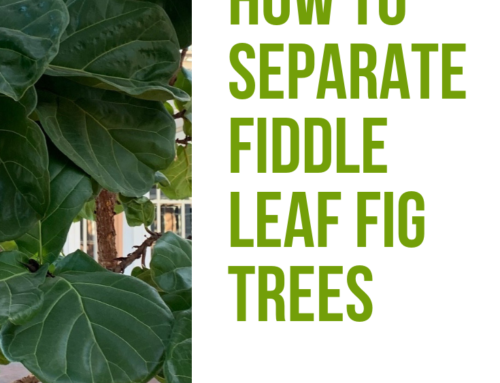 And for more pest control tips and tricks, grab your own copy of the Fiddle Leaf Fig Expert, Your Guide to Growing Healthy Ficus Lyrata Plants, my #1 go-to resource for lush, thriving trees.